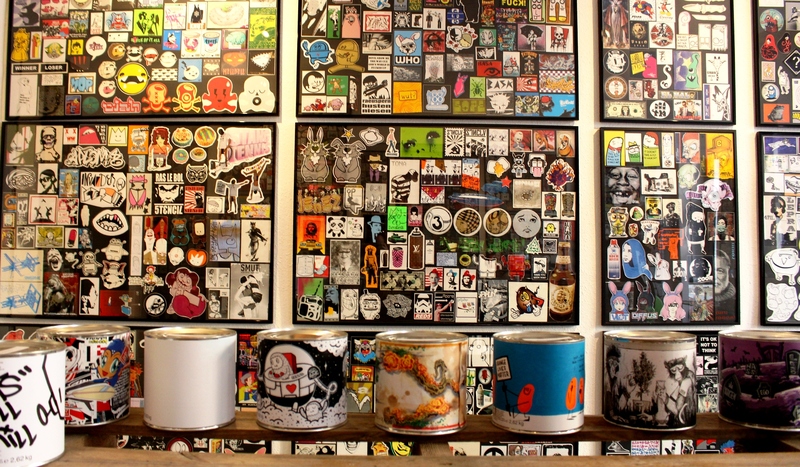 The Hatch Stickermuseum is place you should not miss when you visit Berlin and love street art. 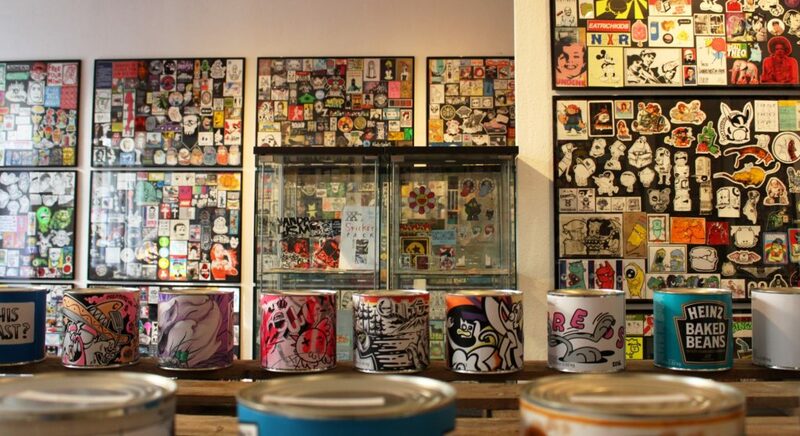 Hatch is the first sticker museum in the world. At no other place you can find so many information and pieces about sticker culture and stickerart since 1890s. Yes, it is no spelling mistake: 1890s. About 130 years ago the „sticker culture“ started. First there were so called „spitties“ – paper you need to spit on, later in the 1950s and 1960s came the first sticker as we know them today! At the moment the Hatch Stickermuseum has over 30.000 sticker from all over the world – different types and genres. First opening in 2008 the sticker museum started with the collection of founder Oliver Baudach, who collected sticker since 30 years. Most of the first exhbits were from skate boarding, urban art and brands. Since the museums runs people from everywhere in the world send sticker to the museum. So the sticker museum can offer special exhibitions to topics like „from the streets“ or „commericials“ or „sticker from the 1970s“. In the current exhibition there are 5000 exhibits you can watch from Thursday to Saturday from 12 a.m. to 6 p.m. Entry is 1 Euro per person and you will get a limited street art sticker for free. The Hatch Stickermuseum is located in Schreinerstr. 10, 10247 Berlin.